The International Buster Keaton Society’s annual Buster Keaton Convention takes place in Muskegon, Michigan, the summer home of Buster and his family during many of their years on the Vaudeville circuit. The convention offers three days of original films, presentations, panel discussions, and live performances, as well as an auction, raffle, speakeasy, banquet and screenings at the beautiful Frauenthal Theater. This year we are proud to present the double-feature ONE WEEK and THE CAMERAMAN. 2019 marks the 25th anniversary of the Convention, and this year’s theme is THE NEXT STAGE. Presentations will look at the next stage in Buster Keaton research, restoration, appreciation, the next stage of the Society itself, and the next stage for for today’s artists who are inspired by Buster Keaton’s work. And more. So much more. In early 2019, the Damfinos held an online fundraiser to help support our convention. 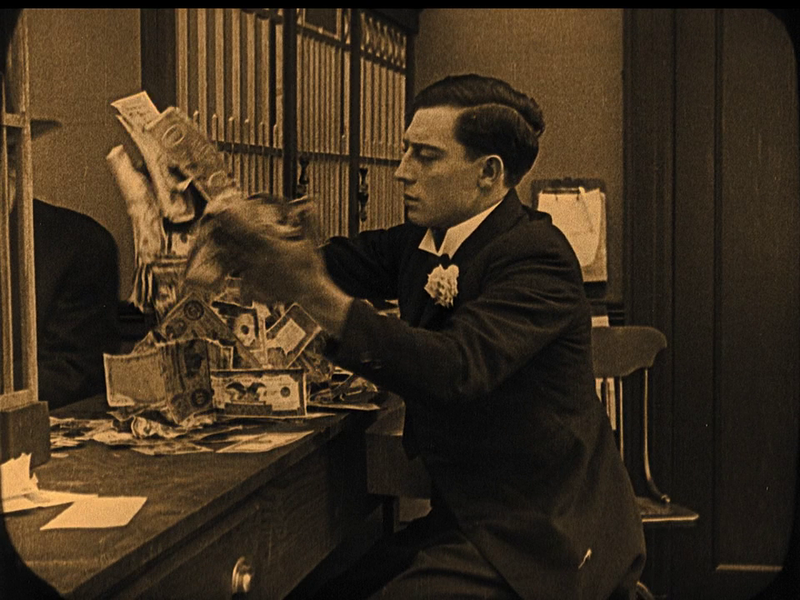 Because of the incredible generosity of the international community of Buster Keaton fans, we are able to reduce our member-level early bird registration fee by more than 40%, down from from $117 to only $67! Early bird registration ends on July 31st. Like Buster himself, you should act quickly. Learn about payment options and how to register as an attendee. Whether you are a member or not (or want to become one), whether you are attending alone or with a group, whether you want to attend all three days or just join us for ONE WEEK and THE CAMERAMAN, this page has all the answers. Ready to register? Click here to fill out all the forms and make your final payment. If you have already been selected as a presenter (to teach, say, How to Be a Detective or other crucial skills) for the 2019 convention, click here for final registration. As of April, 2019: All presentations are currently TBA, with a finalized rundown coming soon. Convention attendees can take advantage of a group rate (limited to the first 50 reservations) at the Shoreline Inn in downtown Muskegon, walking distance from the weekend’s activities. There is also a Holiday Inn (group rates TBA). Flights can come into Grand Rapids or Muskegon. Registration for the 2019 Buster Keaton Convention includes a ticket to our double feature at the Frauenthal theater!